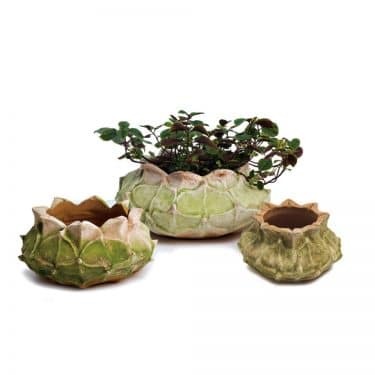 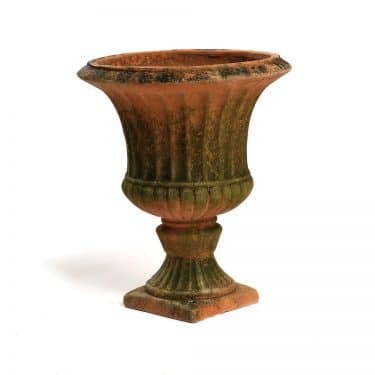 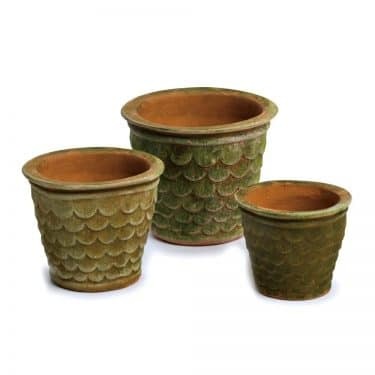 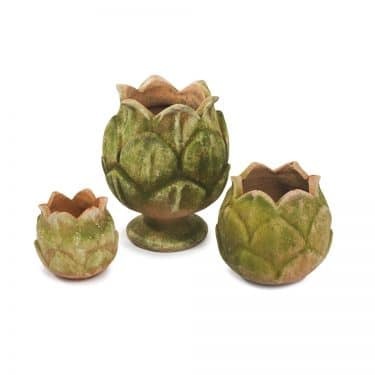 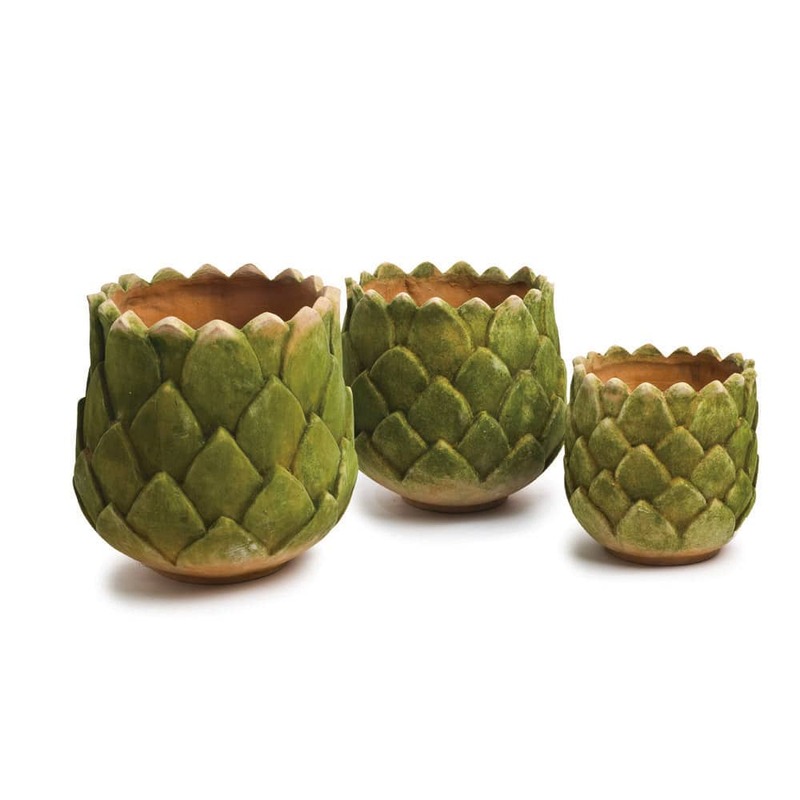 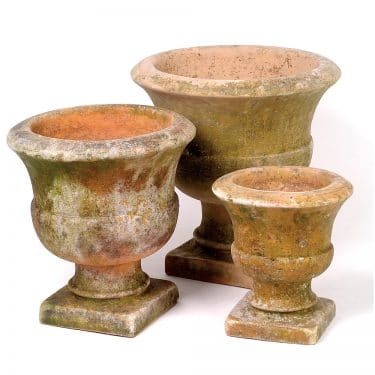 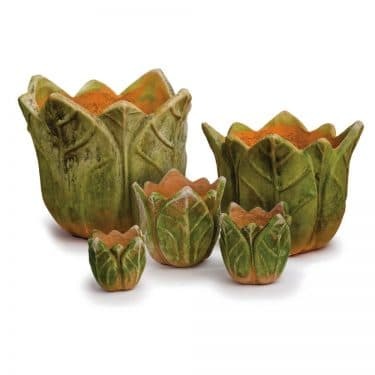 AGED PINE CONE PLANTERS - Large Scale | Campo de' Fiori | Naturally mossed terra cotta planters, carved stone, forged iron, cast bronze, distinctive lighting, zinc and more for your home and garden. 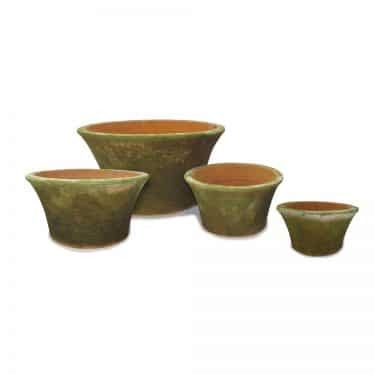 10.5"D 11"H - Fits Metal Saucer #5, or Terra Cotta Saucer #4. 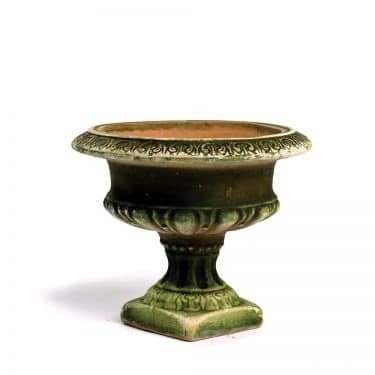 13.5"D 14"H - Fits Metal Saucer #6, or Terra Cotta Saucer #6. 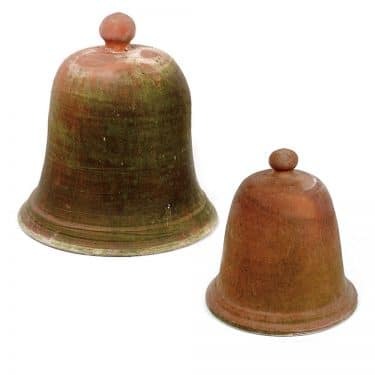 15"D 16"H - Fits Metal Saucer #7, or Terra Cotta Saucer #8.